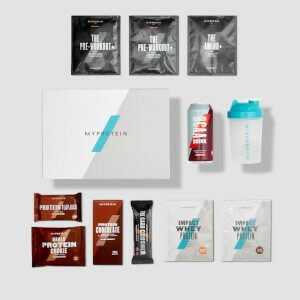 Team Myprotein has reached 6 million customers — now that’s something to celebrate. 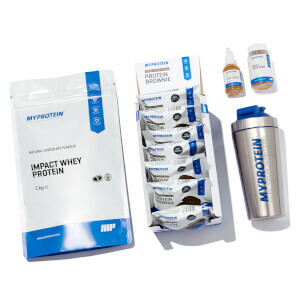 To mark the occasion, we’ve put together a bundle of our bestsellers to keep you on track with your training goals. 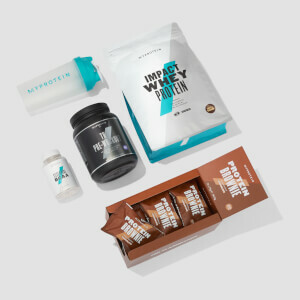 Whether you’re just starting out on your fitness journey or are no stranger to progress, these supplements have been specially selected to fuel you forwards. 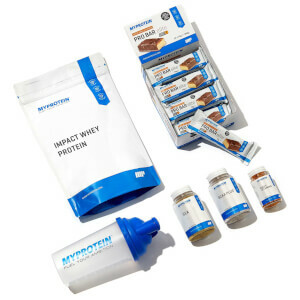 Created with premium whey, our formula is packed with an impressive 21g of protein per serving, delivering the protein you need from a high-quality source — that’s why it’s the UK’s #1 protein powder. Our ready-to-make high-protein mix delivers a massive 34g of protein and just 3.2g of fat per serving, making it a delicious addition to any training regime. Get stuck in to a nutritious stack any time of the day — they can be ready in under five minutes. Our deliciously rich chocolate cookies are baked using pea protein, coconut oil, and a generous sprinkling of dark chocolate to create a truly indulgent treat. They’re the perfect alternative to satisfy sweet-tooth cravings without derailing your diet plan. These are milled Scottish oats in an ultra-fine powder, ready to be mixed with either water or milk for a super-simple breakfast. Packed with protein and fibre, they’re the perfect way to start your day. Omega-3 is an essential fatty acid that contains EPA and DHA, which both contribute to the normal function of the heart. These soft-gels are high-strength and low-cost, making them a super-convenient way to hit daily requirements.